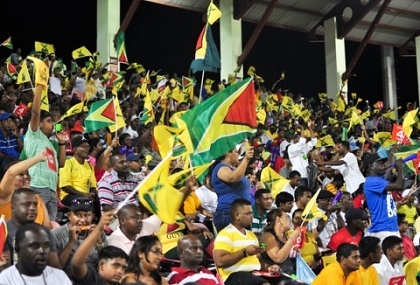 GEORGETOWN, Guyana, CMC-Organisers of the Caribbean Premier League (CPL) are disputing statements from top government ministers in Guyana that Trinidad and Tobago have been chosen to host the finals of the CPL. CPL’s Chief Executive Officer Damien O’ Donohoe says, contrary to public comments from Guyana’s finance minister Winston Jordan and Junior Sports Minister, Nicolette Henry, no decision has been made on which country will host the finals. Media reports from Georgetown has quoted Jordan as saying T&T has outbid Guyana to host the Caribbean show piece, weeks after his country expressed an interest in the final matches to bolster golden jubilee year celebrations. “The CPL made a bid we reviewed it in Cabinet…we were to review it again and then we heard that Trinidad outbid us,” Jordan told reporters on Wednesday. “Of course there will be a degree of disappointment that we are not hosting the finals…We don’t have the reserves of Trinidad first of all and Trinidad would have always been an attractive venue”. Guyana was offering CPL organisers US 1.5 million to host the finals but reports suggest that the T&T government offered US one million more. Guyana sports minister has also been lamenting publicly over the issue. “Trinidad bid much higher than us at this stage,” Henry told Demerara Waves Online. “We can’t match it. There is no way we can match it”. However in a statement released today, CPL reported that it was currently negotiating with three countries but a decision has not yet been made. “The CPL is currently in negotiations with three countries who are each bidding to host the finals of this year’s CPL,” the release quotes O’ Donohoe as saying. The CPL, branded the biggest party in sport, runs from June 29 to August 7.